This article was originally published by Austin Colbert in the Aspen Times. Photo by Austin Colbert. Once upon a time, Jordie Karlinski was a slopestyle snowboarder with the U.S. national team. She came within a run of making the 2014 Winter Olympics, but after that failure decided to walk away from the only life she had really known. Now 29, the Aspen native finds herself being pulled back into that world, but in a slightly different way. "It seems I'm being called into this path," Karlinski recently said. Quick read more or view full article "The stars kind of aligned. I reached out to Nichole and Jason last spring. I really felt a call to get back in the competitive snowboard world." Working under snowboard program director Jason Cook, Karlinski joined the Aspen Valley Ski and Snowboard Club — a club she grew up riding for — as its high-level Team 2 snowboard coach this winter. She replaced Nichole Mason, who left the AVSC after five years to become the national rookie team coach with U.S. Ski and Snowboard. Karlinski briefly coached developmental athletes after her "retirement" four years ago, but it was short-lived as she wasn't in a good position to give back like she wanted. A lot has changed since then. "I don't think I was mentally prepared to coach," Karlinski said. "I still had to do a lot of personal work to get over my whole career and obviously not making the Olympics. I'm now in a better state and am really excited and feel I have the energy to give back." Last year, Karlinski created a "mindful performance" business, catered in large part toward athletes. She plans to take many of those same mental practices into her coaching, something she wishes she had when she was competing. "Nothing against my coaches, but I didn't have mental coaching until I was on the highest level with the U.S. team," Karlinski said. "Now it's being discussed as a thing that is necessary to compete at the top level, and that's part of what I want to give to these athletes." 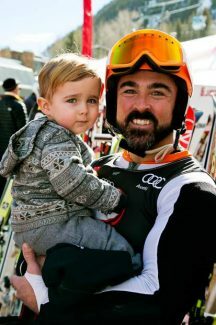 Karlinski understands she is stepping into big shoes, as Mason was named the USSA Snowboarding Domestic Coach of the Year as well as the Development Coach of the Yearonly a couple winters ago. She admits she still has plenty to learn as a coach, but Karlinski is certainly on board with getting more girls into the sport, something Mason also was passionate about. "Coming back into it now, I see there are not that many female snowboarders, on the young end and on the older end," Karlinski said. 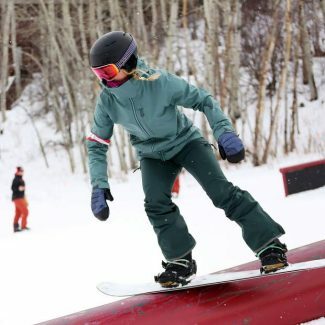 "I kind of have this vision of doing this really cool girls clinic at the end of the season and trying to keep the stoke of snowboarding alive and keep girls in snowboarding from a young age and hopefully keeping them through to competitive athletes, if they want." This article was originally published by Karim Souki, AVSC Board President, in AVSC's Aspen Times Column, Clubhouse Chronicles. It's Dec. 30, 2017, in Aspen. It's one of the busiest ski days of the year and Aspen's flagship mountain is hosting a head-to-head ski race to benefit a local nonprofit. Five guys stroll up to the bottom of Aspen Mountain in star-spangled jumpsuits, skis on their shoulders and smiles on their faces. They look up at the ski hill to assess the dual giant slalom course that Quick read more or view full article will be the day's battleground. One of the five patriots is none other than two-time Daytona 500 winner Jimmie Johnson, one of only three people to ever win seven NASCAR championships. But he's not at Daytona. Today he'll have to turn left and right. "MAGs" (Middle Aged Guys), the name the team has chosen for themselves, enters the racer's tent to settle in and get a pre-race breakfast. To their right is Bode Miller, the most successful American male ski racer in history. Bode sits stoically, sipping a cup of coffee while mentally preparing for the ensuing competition. To their left, a group of local kids goof around, as kids are apt to do, sneaking not-so-subtle peeks at the ski racing legend. They may be a little nervous and very star struck, but they can't wait to get up on the hill. The racer's tent holds a truly eclectic group that includes local bartenders, real estate agents, and middle and high school athletes, as well as New York hedge fund managers, Los Angeles developers and retired professional ski racers. The best part? It's anyone's race. After a day of heated rivalries, close calls, battered bodies and bruised egos, MAGs finish in second, the local children giving them a run for their money. The winning team, "Super G," celebrates in the finish corral. They were led by Jonas Nyberg, a decorated collegiate skier from Norway, in town for the season to help those local kids perfect their technique. Everyone retires to the après party to enjoy some local fare, congratulate each other and reminisce about the day's races. After the live auction, the DJ turns up the volume and the dance floor fills with racers, families and friends. Regardless of the race results, everybody is happy because winning took on a different meaning. Winning is about supporting our kids. The scene above was from the 2017 Audi Ajax Cup, benefitting the Aspen Valley Ski and Snowboard Club. For those unfamiliar, AVSC is a local nonprofit with the mission to provide all youth in the greater Roaring Fork Valley the opportunity to excel as athletes and as people through winter sports. The club provides subsidized programming and scholarships to more than 2,300 children annually in the valley, without which many of whom would never be able to afford the opportunity to participate in winter sports. This is tantamount to telling a child who lives by the ocean that he can't go swimming because his family can't afford it. The Audi Ajax Cup is our single largest fundraising event of the year and, along with our other fundraising efforts, allows AVSC to offer some of the most affordable programming in Colorado. Last year marked the eighth Audi Ajax Cup; we had our most successful year on record, bringing in more than $600,000. But it is more than a fundraiser. Yes, our goal is to keep breaking our fundraising records, but that is only half the story. The Ajax Cup is a showcase of what makes our winter sports community so amazing. It brings together facets of our community that might not otherwise interact. It is inclusive, encourages determination, espouses sportsmanship and promotes a sense of camaraderie that lasts long after the event is finished. It gives us the opportunity to experience a taste of what we're working so hard to provide to our local youth: challenge, fun, teamwork, community and competition. Audi Ajax Cup - Purchase Tickets! The best race and après party in Aspen! 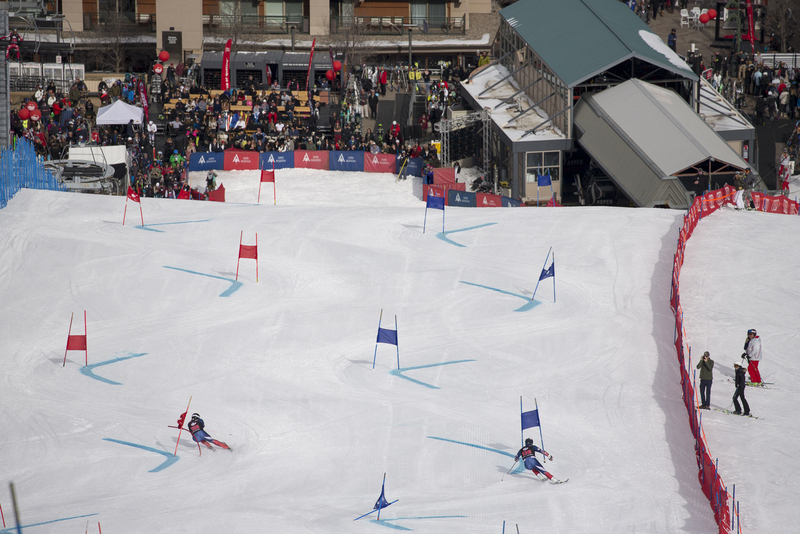 The 9th annual Audi Ajax Cup is a dual GS on the face of Aspen Mountain in which teams of six go head-to-head until one team is named the winner and awarded the famed Gorsuch Cup in a lively party at Shlomo's. Each team is lead by a captain and a Pro; past year’s pros have included Bode Miller, Chris Davenport, Daron Rahlves and AJ Kitt. 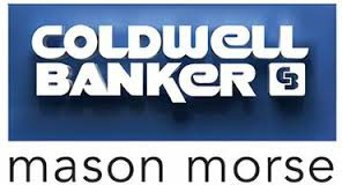 Ticket purchases support AVSC Scholarship Programs; join us to watch Quick read more or view full article the race from the viewing platforms and party with the pros and racers at Shlomo's! Last week, 350 kids from all over the Roaring Fork Valley (and beyond) flocked to Gorsuch and D&E/Four Mountain Sports to pick up their equipment for the season. They waited patiently until their name was called, drinking hot cocoa and eating cookies until it was their turn to work one-on-one with a technician to have their boots fit. 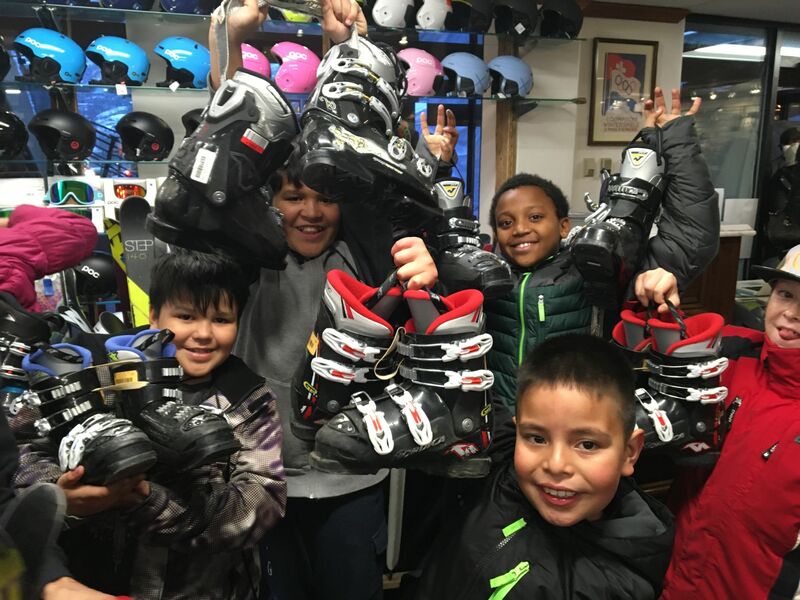 They stood tall and proud as shop employees and volunteers held Quick read more or view full article skis and snowboards next to them, choosing the perfect fit for the season. They pulled new beanies over their heads, grinned widely and high-fived on their way out the door, ready to enjoy what's turned out to be a great season so far. Some of them are old pros, returning for their third, fourth, fifth season. Some of them held what was to be their very first pair of skis. While both shops were brimming with enthusiasm and anticipation, those who have attended Aspen Supports Kids equipment night in the past felt and discussed an acute absence: that of Bob Beattie. This was our first equipment night without the legendary Beattie, who often told us this was his favorite night of the year. He loved witnessing kids come alive with excitement as they picked up their new equipment: an invitation to the mountains and a fun season ahead. He asked kids about themselves, their families, their experience skiing so far. He reminded them to try hard and to have fun. He laughed and chatted but often — somewhat surprisingly for those who knew Bob — sat quietly and observed, taking it all in. Bob was incredibly proud of Aspen Supports Kids, a program that's been an integral part of AVSC for nearly 30 years. This past weekend, as we gathered at Highlands Alehouse and Hotel Jerome to remember and celebrate Bob, we recalled his time announcing on the World Cup, his time creating a new format of ski racing with the World Pro Skiing Tour, and of course, his efforts to give local kids — regardless of their background, financial circumstances or family situation — the chance to experience the freedom of skiing and snowboarding. Bob Beattie was a sterling example of why I am grateful to be involved with AVSC: regardless of what he had accomplished at the top levels of the sport, he recognized that the future of skiing and snowboarding lies in the opportunities we give to our children — at all levels of the sport. The Roaring Fork Valley is a remarkable place to be a kid. With more than $1.8 million in scholarships and subsidies given to our athletes last year alone, Aspen Valley Ski & Snowboard Club is immensely grateful to our community of donors, sponsors and business partners that are as committed as Bob was to making skiing accessible to all kids. Success for an athlete might be as simple as developing the technical proficiency and comfort to go ski and snowboard alone or with friends; maybe even teach others how to do the same. It might be anything from having the guts to enter their first competition to becoming a high school state champion to earning a nomination to the U.S. Ski Team. It might just be having a lot of fun, making friends and enjoying time spent outside together. It might be all of those things. Regardless of the end result, this access to the mountains leads kids to excel not only as athletes, but as people. Their coaches, experts in their craft, inspire excellence and serve as formative mentors. The kids have fun, learning how to be independent and take care of themselves and developing lasting friendships through shared activity. They experience challenge and defeat and develop grit as a result. They grow deeper roots in this community and a greater appreciation for the natural resources that we have at our fingertips, from the amazing trail system at Spring Gulch to the awe-inspiring Highlands Bowl. They see, experience, and grow more as a direct result of the community support. We are grateful for each and every one of you who believes in our mission; you are making a seismic impact on this community's youth and future.